Teaching jobs in China with EF English First combines an unforgettable experience with a rewarding job. You can learn Mandarin, travel the country and meet fascinating people. At the same time, you’ll gain valuable teaching experience abroad in an organization committed to delivering the best English training program to every student. 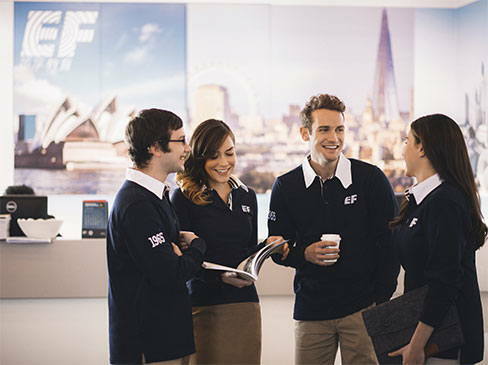 EF gives you the excitement of teaching English in China with the stability of a safe, reliable employer committed to your professional development. When you teach English in China, you will be interacting with the current and future leaders of the country. It is a great job opportunity to gain a deeper understanding of how Chinese people see the outside world. We have students of all ages from 3-year-olds to professionals albeit not in the same class, of course. Additionally, our corporate clients are executives at large Chinese firms or multinational corporations. We are currently hiring teachers specialized in teaching either young learners or professionals. At EF English First, we believe our greatest asset is our teachers, and we provide them with the support they need to perform their jobs well. English First has a standard contract for teaching jobs in China and offers one of the best benefits package in the industry. If you’re inclined to teach young learners through song, dance, games, and interactive activities, then becoming an English teacher in our Kids & Teens schools is for you. Students’ age ranges from 3-18, so feel free to have lots of fun and be creative in your lessons! We also have English teaching positions for Adults, where you’ll be responsible for more thought provoking lessons to assist our adult learners in preparation for their business meetings, general knowledge, and/or overseas travel opportunities. We also have online teaching opportunities to adults or kids. Our classes are conducted in Shanghai’s Pudong office, which has just been renovated and expanded to meet the growing demands of this product. The hours outside of the classroom will be divided into prep time, admin work, and trainings. EF has the lesson plans and classroom materials already pre-planned for you. As you get to know your students, you can tailor some of the lessons to meet the needs and personalities of your students. As long as the objectives are being met, there’s nothing wrong with putting your own spin on the lessons! Admin work entails progress reports, open lessons, correcting tests, evaluating homework, and parent-teacher conferences (Kids & Teens products only). Schools also conduct in-center trainings for you to participate in with a varying range of topics to help you become a better teacher and give you transferable skills that you can use in the future. Truly the most diverse and fast-paced of all the tier-one cities, Shanghai is home to millions of Chinese locals and expats alike. You can be sure to always find something to do; from shopping, eating, and exploring. The capital city of China boasts many national treasures not to be missed. Don’t leave without seeing the Great Wall of China, Tiananmen Square, the Forbidden City, the Temple of Heaven, and the 2008 Olympic buildings. A tropical city in the south of China, Shenzhen is more often warm than cool. Palm trees are dotted around the city, and beaches are a short ride away. This is an artistic city with lots of cultural paintings and dancing to be seen. This is China’s third-largest city and is a thriving commercial center. It’s quite close to Hong Kong for convenient and spontaneous trips out of the country. The architecture of Guangzhou is something to be seen from religious sites and tall buildings, to historical monuments and beautiful bridges. Also known as “hot pot city”, Chongqing is known for its spicy food and proximity to cuddly pandas! This is a modern port city which touches the banks of the Yangtze river. There is so much to do outdoors in Chongqing from rock climbing, exploring the gorges, and various parks and pagodas throughout this municipality. Check out our Chinese city guides with information about each one of the 60+ cities we have schools in. Degree. In order to educate Chinese students, we need you to be educated as well by at least possessing a Bachelor’s degree. We aren’t picky about what your major is or what subjects you studied. As long as you have your original degree from your 4-year university (or equivalent), we’ll consider your application. Passport. The reasoning behind this is simple; in order to be a teacher of English, you need to hold a passport from one of the following English speaking countries; the US, the UK, Ireland, Canada, Australia, New Zealand, and South Africa. TEFL. This position requires a 120-hour TEFL certification in order to consider your application. Don’t have one? Don’t fret – EF offers full sponsorship for a 120-hour online TEFL course for you to take advantage of. Are you more experienced and have a PGCE, CertTESOL, or equivalent? We’ll compensate you for having higher qualifications and putting in the extra effort! Upon arrival, you will receive a warm welcome at the airport by one of our EF-approved drivers. You will either have housing provided, or be invited to stay at the hotel for up to two weeks at our expense. During this time, we will assist you in finding suitable accommodation, introduce you to your colleagues and give you the training you need. As an English First teacher in China, you will be offered ERIKA™ Medical and Accident Insurance. The policy has been specially designed for EF teaching jobs in China. It has automatic coverage and offers extensive coverage for Medical & Accident and Liability Insurance. As a reputable company, EF provides legal teaching jobs in China with correct working papers. EF pays for and arranges all visas for your arrival to your new job. Based on the country’s foreign employment regulations, teachers are required to obtain a working Z-visa prior to their arrival. A visa is necessary to enter the country and can be easily obtained at the Chinese embassies or consulates in your country of residence. Attaining this visa can take up to 2 months so it is best to plan accordingly. Our teaching jobs in China include on-going teacher training. All EF schools have a Director of Studies or Center Education Manager. This person has a wealth of experience within the world of ESL and will assist in the professional development of the teaching staff. S/he will hold a new teacher orientation program that includes an in-depth explanation of the courses, curriculum, resources and methodology. 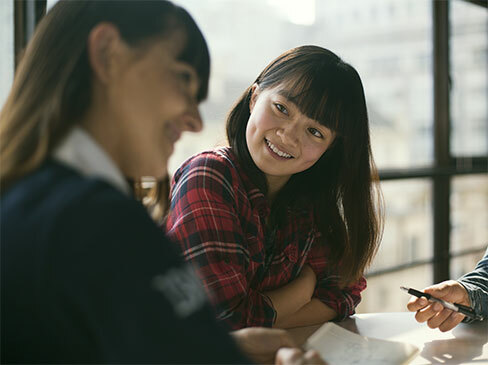 To hone your teaching skills and help you do your jobs better, EF offers continuous professional development meetings on a weekly basis so you can teach English with confidence. While you are teaching English as a foreign language at EF, you may want to learn one yourself. Language classes for the city in which you reside will be made available to you through your EF school.